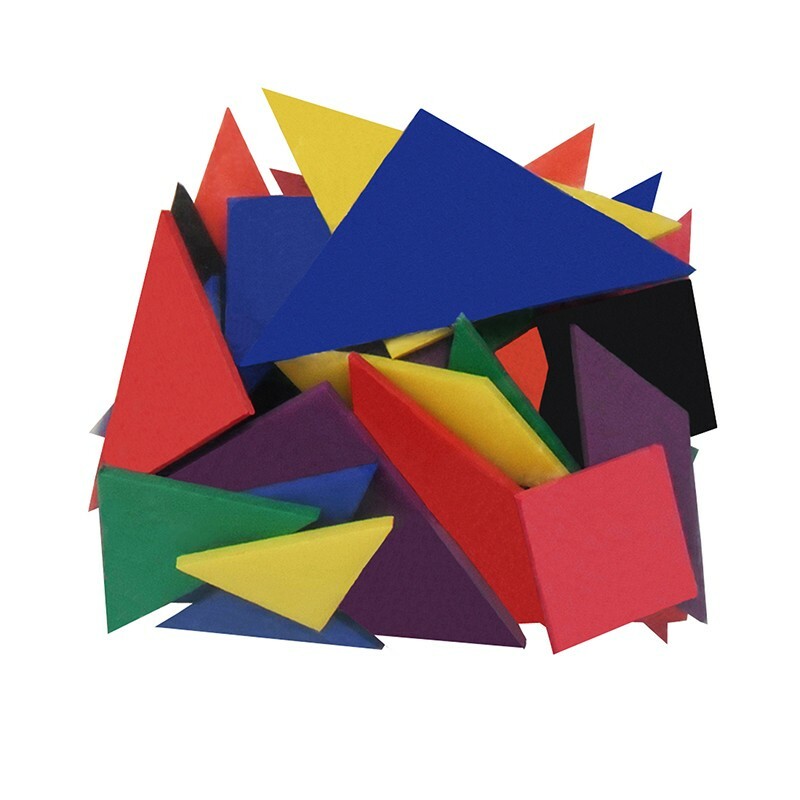 Eight tangram squares, each measuring 4". Each set is a different color. 56 total pieces. Foam is lightweight, soft, quiet, and washable. Comes in a resealable storage bag. Teaching tips are included.